It’s Off to the Races as the Michael Napoleone Memorial Foundation, prepares for its Derby Day Gala 2018, a fundraising event held in conjunction with the running of the 144th Kentucky Derby. Win, Place and Show your support for the Foundation’s annual fundraising event to be held at Terry Hills Golf Course & Banquet Facility in Batavia on Saturday, May 5th, 2018, from 4-9 p.m. The event raises monies to support the mission of the Foundation, namely to assist families struggling with the diagnosis of pediatric cancers, support research efforts in the area of childhood cancers, and provide assistance to youth activities and programs. 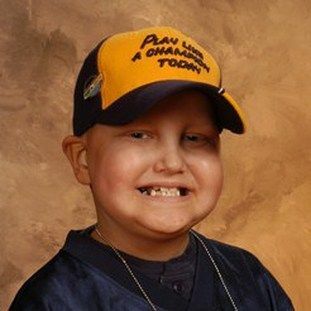 The Foundation, a 501(C) 3, was founded by Mark Napoleone and Laurie (Pero) in 2007 after the loss of their 8 year old son to Burkitt’s Lymphoma, an aggressive form of blood cancer. To date, the foundation has assisted 355 families with $332,000 worth of support during their child’s illness, contributed $73,000 to support research, gave $49,000 to assist youth organizations and donated $50,000 to building the new Golisano Children’s Hospital in Rochester. The evening features “Kentucky Derby” theme, food, drinks, live music, Silent and Live Auctions, and a professional photo in your best Derby attire. There will be prizes for the best woman’s hat, Dapper Derby Award for the men and a best dressed couple’s award. Tickets are $75/each and Win, Place and Show Sponsorships are available. There are many ways for you to support this event -auction donations (gift certificates, electronics, sports memorabilia, spa packages, and weekend get-a-ways). Monetary donations are also accepted. All donations are tax deductible. Your assistance will make our Derby Day Gala 2018 a winning success.